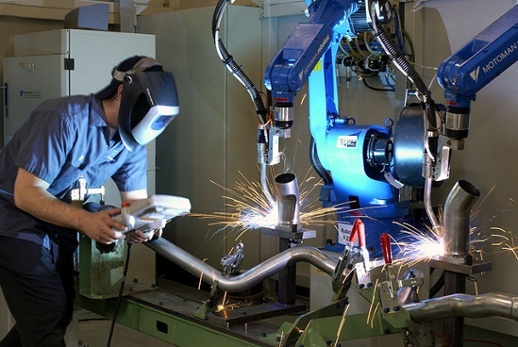 What’s the biggest benefit for using collaborative robots? It’s not better efficiency. It’s not the extra hours the robot can work in a shift. It’s not even having improved consistency across your product. Whilst these are all great bonuses the biggest benefit of robots is their impact on reducing workplace injury. Workplace injury is an issue that affects millions of workers worldwide, each year. It costs businesses billions in revenue. Although it’s not possible to avoid all injuries completely, many workplace injuries are avoidable. Musculoskeletal disorders are often preventable, as they are usually caused by bad workplace ergonomics. 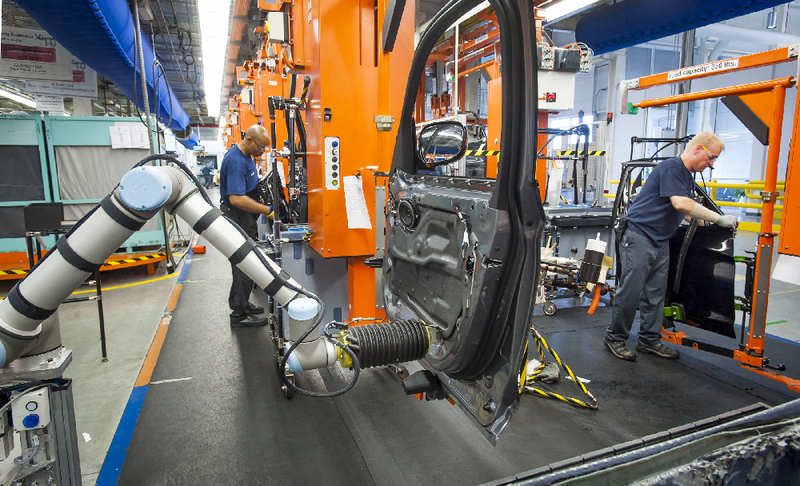 Collaborative robots are a great way to solve this problem. Musculoskeletal disorders (or MSDs) refer to a set of injuries and disorders that affect the human body’s movement or musculoskeletal system, for example, the muscles, joints, tendons, nerves and ligaments. According to FitForWork Europe, MSDs are a huge problem in the modern world. 21.3% of disabilities worldwide are due to MSDs, and they are estimated to cost the European Union around 240 billion euros each year in lost productivity and absence, due to sickness. MSDs accounted for 35% of all work days lost in 2007 in Austria. As they are caused by repetitive physical stresses on the human body some industries are more affected by it than others. Manufacturing and food processing are classed as high-risk, as outlined this report on the impact of MSDs in the USA. Some jobs are prone to specific injuries due to the type of work involved, such as industrial inspection and packaging jobs, which are prone to upper extremity MSDs. In 2012, the manufacturing industry had the fourth highest number of MSDs, with 37.4 incidents per 10,000 workers. All this injury costs your business money; a lot of money. 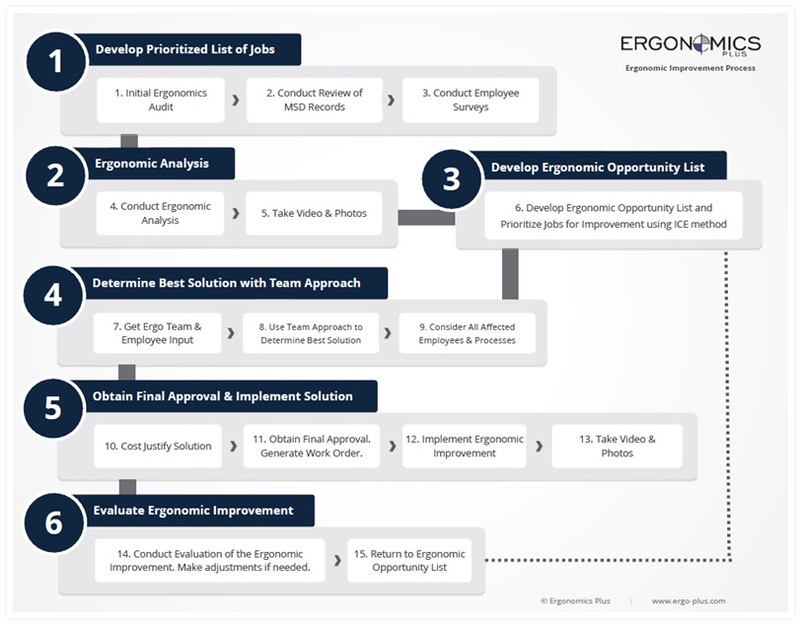 Ergo-Plus shows you would have to generate $8 million worth of extra sales to cover the cost associated with the most common MSDs. This is crazy, as the injuries are preventable by simply applying basic ergonomic principles. Proactive Ergonomics – This involves solving ergonomics issues before they arise, either by walking around your workplace whilst “wearing your ergonomics glasses” or by incorporating ergonomic principles into the initial design of processes. Reactive Ergonomics – This is what usually happens. It’s solving a problem when it is already a problem. A worker suffers an injury as a result of the task and so we retrospectively try to improve the ergonomics of the task. At the very least, we should adopt a more proactive approach to ergonomics. In an ideal world, all ergonomics issues would be solved proactively, before they arise. However, being realistic, we’re likely to end up with a combination of the two approaches. Allow the worker to move, exercise and stretch. 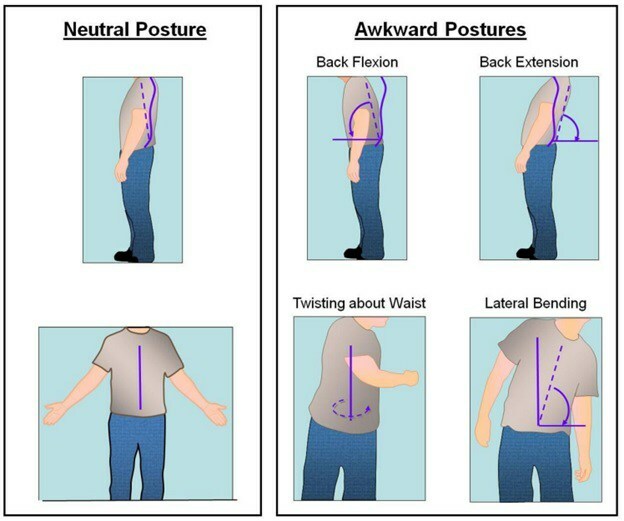 After all, the human body is “designed to move” not stay in the same position for long periods of time. We recommend that you take photos and videos of the tasks, to document the ergonomics improvement process. This will be useful in two ways, as you can then use the same photos to help you to design your collaborative robot process. It is most effective to examine tasks on a case-by-case basis. Ergonomics issues can be very specific to a task, so don’t think that doing exactly the same everywhere in the workplace will be effective. Start small, looking at just one or two tasks, and build up gradually.